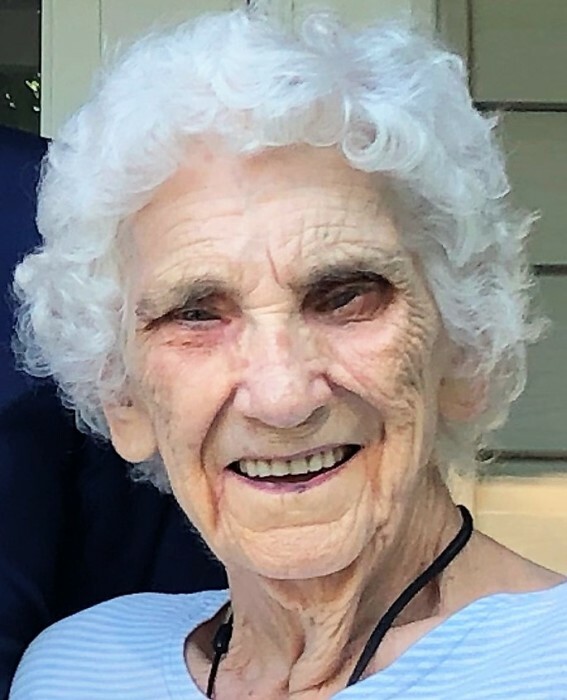 Irene Krenceski, age 90, of Canton, NY, passed away peacefully at her home on Monday afternoon (November 12, 2018) under the care of Hospice and Palliative Care of St. Lawrence Valley after a brief illness. Irene LaPree was born on January 25, 1928 to the late George and Nora (LaShomb) LaPree in Brasher Falls, NY. She was a graduate of Massena High School in 1945 and Watertown School of Commerce in 1946. She married Edwin Krenceski on September 30, 1950 at the Church of the Sacred Heart in Massena, NY with Reverend Joseph Dowd officiating. She was predeceased by her husband, Edwin, in 1994. She was a communicant at St. Mary’s Church and a member of the Altar Rosary Society. She was an accomplished seamstress and a long-standing member of the VFW Ladies Auxiliary in Massena, NY, where she served as President in 1947. In addition to raising her two children, she worked for 14 years at St. Mary’s School and Church in Canton before retiring in 1989. She is leaving behind her daughter Dr. Mary Krenceski and her husband Dr. James Tkacik (Troy, NY), her son Charles LaPree and his wife Margaret LaPree and two beloved grandsons Joseph and Sean LaPree (Royersford, PA). She is also survived by her sister, Eileen DiTullio of Massena, NY and many nieces and nephews. She was predeceased by her brothers Robert and Gordon LaPree, and sisters Jean Derouchie, Katherine Kellogg, Elaine Clement, and Patricia LaPree. Calling hours for Irene will be held on Friday, November 16, 2018 from 4:00 P.M. to 7:00 P.M. at O’Leary Funeral Home in Canton, NY. A Mass of Christian Burial will be held at 11:00 A.M. on Saturday, November 17, 2018 at St. Mary’s Church in Canton with Father Bryan Stitt celebrating and Msgr. John Murphy and Father Douglas Lucia, concelebrating. Burial will follow in St. Mary’s Cemetery in Canton. Arrangements are entrusted to the care and direction of the O’Leary Funeral Home, Canton. If desired, memorial contributions in lieu of flowers may be made to Hospice and Palliative Care of St. Lawrence Valley, 6805 US Highway 11, Potsdam, NY 13676 or to St. Mary’s School, 2 Powers Street, Canton, NY 13617. Online condolences and memories may be shared with the family by visiting www.olearyfuneralservice.com.